Our valet services are designed to take away the stress of managing the cleaning, decontamination and maintenance of your owned equipment and we offer a range of packages which provide varying degrees of cover and services, from a basic clean and disinfection through to a complete maintenance program. We can also design individually tailored strategies and solutions to best match your requirements. Working in partnership with Pegasus Healthcare for your valet service requirements will help you achieve improved utilisation of your equipment whilst providing you with the peace of mind that each item is properly cleaned, disinfected and maintained after each client use ensuring that you are able to exceed National Safety and Health Service Standards – Standard 3 (Infection Control) and Standard 8 (Preventing Pressure Injuries). Each of our valet service customers also benefit from complimentary access to our market-leading equipment management system – VRM Online, which allows you to track and manage your owned equipment during the valet service. 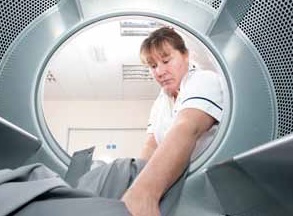 Equipment is time stamped and tracked as it leaves your facility to be laundered and serviced with all details available online in real-time. Complete cleaning and decontamination services in accordance with national cleaning guidelines. Decontamination service for all manufacturers’ equipment. Individual cleaning certificate for auditing and identification purposes. Real-time equipment tracking through our VRM Online system. Online access to infection control and electrical testing records. Community based equipment can also be included. Fully audited and documented service quality endorsed to ISO 9001 standards.